Am I Too Old for Long Island Vein Treatment? Having varicose veins may seem like an inevitability that comes along with getting older, but this is simply not true. What is true is that everyone deserves to look and feel his or her very best. 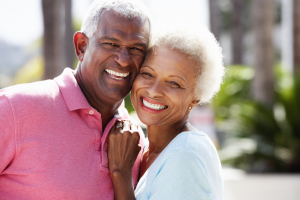 It doesn’t matter if you’re 30 or 70 — the medically advanced options for Long Island vein treatment offered at Advanced Vein Care Solutions are a great fit for most people. Throughout life, your veins are constantly working hard to fight the force of gravity and get blood up and out of the lower body and back to your heart. This is no easy feat, and your lifestyle probably isn’t helping. The culmination of a lifetime of sitting or standing for hours, smoking, stress, high blood pressure, weight gain, pregnancy…it’s no wonder Long Island vascular doctors list aging as the largest risk factor for developing problem veins. As veins fail to do their job, you might suffer anything from mild aching or throbbing to swelling, ulcers, and blood clots. This is no way to spend your golden years! As a proponent of modern vein treatment modalities, our vein treatment center in Long Island has vein care options for people of all ages. It’s sad that there are still people — even physicians — that view older individuals as poor candidates for surgery. Although it’s true that certain health conditions associated with aging such as diabetes and high blood pressure can make surgery more risky, modern minimally invasive procedures make vein treatment a possibility for most people. We offer minimally invasive options such as sclerotherapy, endovenous procedures, and more. Get in touch with us today at 516-821-0242 or go online to learn more about our vein treatment solutions. You’ll be glad you did! On December 12, 2017 / News / Comments Off on Am I Too Old for Long Island Vein Treatment?